First things first: let’s set some goals and plan for success. I’ve just begun another course from The Daily Post, Blogging 201. Our first assignment is to review our blog with a critical eye and set three goals. I began blogging in 2009 after the death of my best friend. Friendship of a Lifetime, became a place to journal thoughts and opinions related to friendship and loss. As I began to write, I decided it was a great opportunity for me to share my journey and thus, Cow Pasture Chronicles was created. 1) Post weekly. In the past, I haven’t been consistent. 2) Establish a regular feature by the middle of November. Blogging 101 suggested this, but I haven’t decided which feature I want. Right now, it’s between a weekly feature on, Writing (how-to’s), Opinion pieces (based on current affairs), or a Fiction Gallery (Showcasing not only my fiction but others who wish to share). 3) Network and connect more with my followers by reading and commenting. I have been working on this since Blogging 101, but I can do better. I believe successful networking and communication with other bloggers will foster more traffic and additional followers. I have additional goals, but this is a good start. 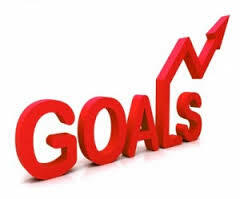 Have you set new goals? There is one “brand” you should notice: Ravenscourt Gardens (http://ravenscourtgardens.com/), Take a close look at their landscaping avatar. That is at least as good as Target’s. Only you could tweak this theme to make it work on the handheld devices. It looks great! Your version of this theme still amazes me! And I certainly plan to read more of your writing. Thank you so much Beth. You can’t imagine how many times I have tweaked this theme, LOL. I am thrilled to have you a member of the Cow Pasture Fence Jumpers! You know what? I was a cow pasture fence jumper from childhood. My experience was on a Texas farm. We had a little of everything, both in animals and in crops. It was great fun too, I imagine. My cow pasture was much smaller. All I had was a dozen or so cows, a big bull and a beautiful stream. But I went over that fence ever I got. Fond memories. I love the way your modified header looks, Sheila! I’m not doing Blogging 201 (I hope to, one day), but I am enjoy in seeing the changes in the sites of my 101 buddies. Oh, thank you! I’m trying to hone-in on the “Brand” of my blog, but it’s a process. Hopefully with more feedback I can achieve that goal. Thanks again for stopping by the Cow Pasture.